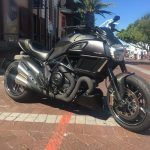 For some, Ducati is seen as the Ferrari of motorcycles, and with the opening of the new Ducati Cape Town dealership on 30 September 2017, this fact was emphasised yet again. As you drive into the Victoria & Alfred Waterfront, Ducati Cape Town greets you on the left hand side in the Waterway House South building. Being close to Ferrari, with Porsche opening soon, the location for the new Ducati Cape Town dealership is perfectly positioned. As you walk into the shop, the air is filled with the fragrance of Italian coffee, that blends beautifully with two-wheel Italian art like the Ducati Diavel X, Ducati Multistrada 1200 Enduro and Multistrada 950 on display. 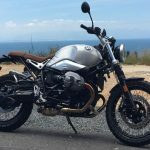 You can also find your inner retro-individualist with the unique Scrambler Ducati range, such as the Café Racer, Icon and Sixty2. 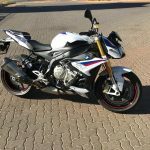 The adrenaline rises if you look to the right at the flamboyant display of the Ducati Panigale 959, Ducati Supersport S, Hypermotard 939 and the Ducati Monsters. The highlight and gem in this shop is behind velvet ropes at the back, and will surely get your heart pumping – the Ducati 1299 Panigale S Anniversario! 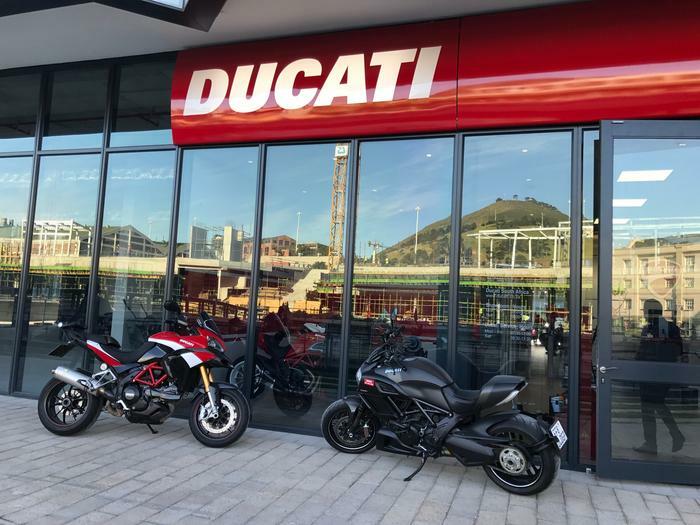 Ducati may be known for their motorcycles, but at the Ducati Cape Town store you may find yourself visiting for several other reasons as well. Gorgeous accessories, top-notch coffee and friendly staff make the whole experience unforgettable. The accessories and clothing in the dealership as per Ducati standards, is always professionally displayed and will encourage you to dress in Ducati from top to toe. You don’t have to own a full-size to be part of the family. Some start with the smaller model range and work their way up. The Ducati head office is in Randburg, Johannesburg with service agents in Port Elizabeth, Durban, Bloemfontein & Nelspruit. When it comes to servicing your motorcycle it can often become a grudge purchase – not at the new Ducati Cape Town Service Centre! The Ducati Service centre is set at the back of the Ducati Cape Town dealership, with a perfect and professional layout – so clean you can literally eat of the floor. With the sound of water running past the channel at the back of the shop and the unique Ducati motorcycle sounds, servicing your Ducati at the new Ducati Cape Town dealership will hardly be a chore, but a delightful way to spend the time. 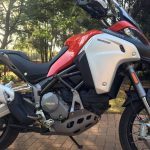 Ducati Cape Town prides themselves on offering you a one-stop shop, and this will be the standard on which all the Ducati dealerships in the country are based. Ducati SA’s aim is to widen their presence in our country by giving you an amazing Ducati experience when you walk into a dealership. 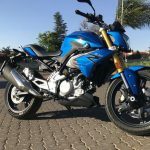 The 5-year plan is to have dealerships in Port Elizabeth, Durban, Bloemfontein and Nelspruit. Soon you will be able to live the Ducati dream in all the big cities of South Africa.